We all know that humans were not made for modern life and that the number of stressors are increasing every day. Some people cope well with these stressors, others struggle to unwind and relax adequately. The human body is resilient and has an excellent adapting hormone to help us deal with stress – cortisol. Unfortunately our cortisol levels are often poorly controlled and much too high. Luckily for us, mother nature has given us some wonderful coping materials to work with in the form of adaptogenic herbs. These plants have been used in Ayurvedic medicine for thousands of years. They contain powerful active ingredients and have been recognized by modern science making them a powerful ally in the fight against various stresses. 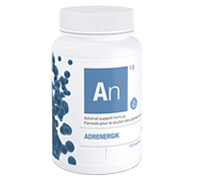 The ADRENERGIK formula is a unique blend of therapeutic compounds and vitamins that help the human body to better cope with all the challenges that life may throw at us. This specific blend of vitamins is the foundation of Adrenergik. These specific vitamins will facilitate recuperation, reduce cellular oxidation, increase blood oxygenation, aid in neurotransmitter production, help with stress management and support psychological and physiological energy production. This medicinal plant is well known for its anti-anxiety benefits and calming effect. It is being used for hundreds of years among the indigenous peoples of the northern latitude. This marvellous adaptogen possesses solid scientific back up supporting its capacity to help reduce anxiety as well as increasing the body’s own tolerance to physiological and psychological stress. Furthermore, studies have proven that it could reduce excess production of cortisol and help fight off depression. Eleuthero is probably the most documented plant in western Europe for its capacity to increase vitality and energy. It’s most interesting properties are the positive influence on energy levels, the increase in physical and mental endurance and the reduction of the negative impact of stress on the immune system. The standardization found in the Eleutherosides solidify its effectiveness for the purpose of Adrenergik. Known for thousands of years by traditional Chinese and Russian medicine, Schizandra berries belong the to the top fifty superior plants in the Chinese pharmacopoeia. It is traditionally used to help manage energy and endurance , physical or psychological , and also to reinforce immune system defenses against the different stresses life brings. It’s ancestral properties are now being recognized as quite plausible. The latest studies demonstrate a positive correlation between the ancestral uses and many scientific parameters involved with them, especially combined with Rhodiola Rosea and Eleutherococcus Senticossus. Ashwagandha is a plant with countless properties. Used in Ayurvedic medicine since ancient times, it’s probably the most well recognized plant/herb in the Indian pharmacopeia. Also known under the name Indian Ginseng, the roots of this small shrub are used in Ayurvedism to rejuvenate, reinforce the immune system , help the body and the mind manage stress, and is also known to be a potent aphrodisiac. Many recent studies demonstrate that Ashwagandha is excellent in many of these domains, including reinforcing immune defences, positively modulating blood sugar and cholesterol levels, increasing concentration, and fighting the negative effects of stress. Furthermore, this adaptogen will help with fatigue, anxiety and depression. Astragalus, also known as Huang Qi in Traditional Chinese medicine, has been used alone or in combination with other herbs and plants for hundreds of years to strengthen immune system function and protecting us from disease. It’s interesting adaptogenic properties permit it to interact on multiple levels in the body to have a more global approach. Its ancestral use as an anti-viral, anti-bacteria and immune system tonic solidifies it’s highly important place in Asian pharmacopeia. Recent studies show that Astragalus possesses some very interesting anti-inflammatory and antioxidant benefits, and also has a positive influence on physical performance, however, its capacity to positively modulate and strongly reinforce immunological defenses is its most notable feature. This particular plant is probably one of the most ignored and underestimated of the phyto-therapeutic community. Extensive research clearly indicates its traditional uses: asthma, arthritis, bursitis, depression, chronic fatigue, upper respiratory tract infections, heartburn and healing stomach ulcers are all attributed to the therapeutic usage of Licorice extract. The most interesting and studied compound contained in it is Glycyrrhizin. Many of these traditional properties have been studied and verified scientifically including its capacity to positively modulate immune response, alleviate fatigue, reduce inflammation , and helping to heal peptic ulcers and reducing upper respiratory tract ailments and infections. Recommended use: A factor in the maintenance of good health. Helps the body to metabolize fats and proteins. Helps in the development of bones, cartilage, teeth and gums. Helps in connective tissue formation and in wound healing. Helps form red blood cells. 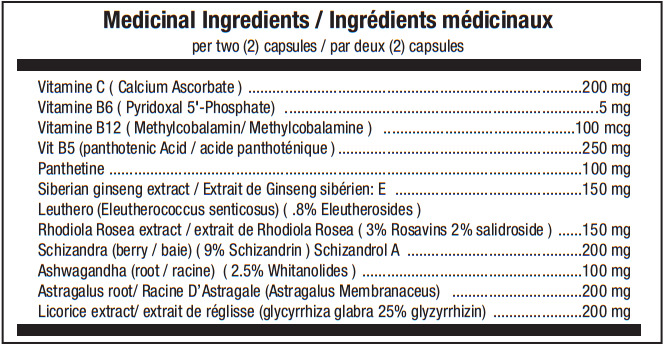 Used in Herbal Medicine as an adaptogen for temporary relief of stress symptoms (e.g. mental fatigue and feelings of weakness) and to help support cognitive functions (e.g. mental focus and mental stamina).